Valentine’s is such a fun holiday. What’s not to like about telling people you love them, giving cards, and decorating with hearts? Even though I enjoy all of those things, I like to take it a step further and use it as an opportunity to talk about God’s love for us. This year I decided to incorporate that idea into some of my Valentine’s decor. 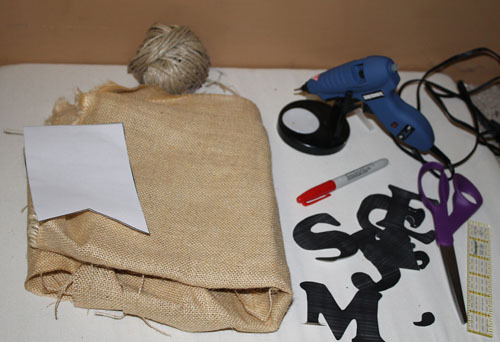 After looking through my craft supplies, I thought that burlap and twine would be the perfect items to use to make a banner to hang in our home. 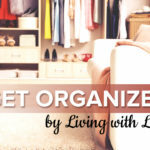 This is a quick project which would be great to do with your children or to make for them. I even designed a few templates to make the task easier. 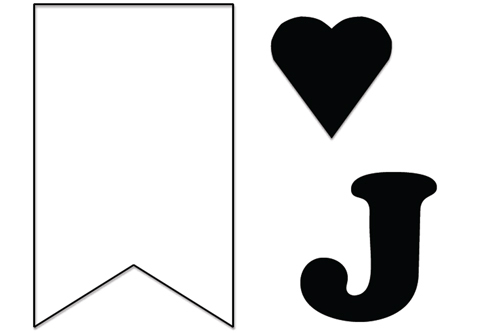 Be sure to print out the templates I created so that you can make your bunting quickly. 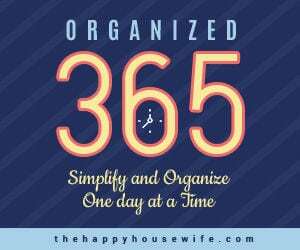 Click the picture or link below to download and print them. There are three pages total. 1. 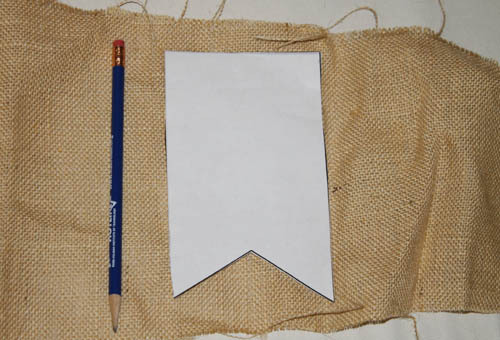 Cut out the template pieces and then trace the bunting pattern onto the burlap eight times. 2. Cut out the burlap pieces. 3. 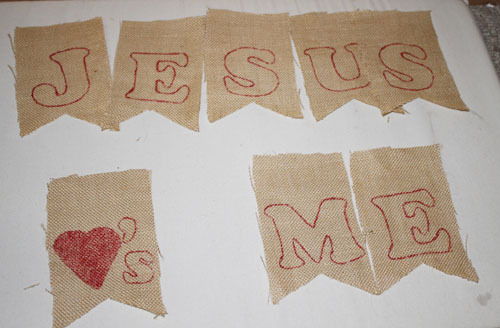 Trace the letters onto the burlap pieces. It is helpful to use a ruler to make sure your letters are all evenly lined up. I centered the letters to the left and right, and I made sure the letter was half an inch from the center point at the bottom of the burlap pieces. 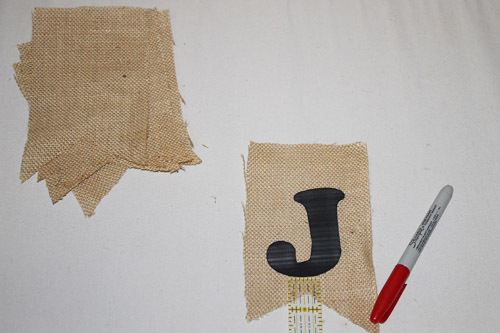 This is what the pieces should look like after you have traced all of the letters onto the burlap. At this point you can color all of the letters in, leave them as outlines, use black for the letters and red for the hearts. The choice is yours. 4. Hot glue the burlap pieces to the twine. 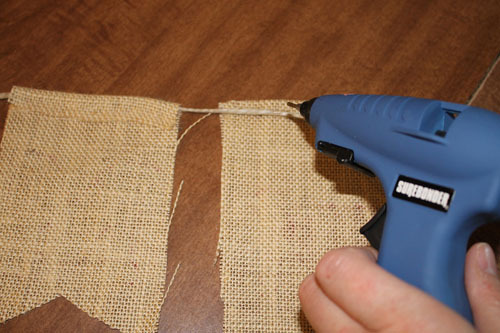 Fold the top of each burlap piece, towards the back, and hot glue in place. I recommend leaving a length of twine that is at least 12 inches before gluing the first piece to it. Be sure to do the same for the other end. This will give you enough twine to hang your bunting up. Your bunting is now ready to hang on your mantle, above a doorway, on a wall, or wherever you choose. 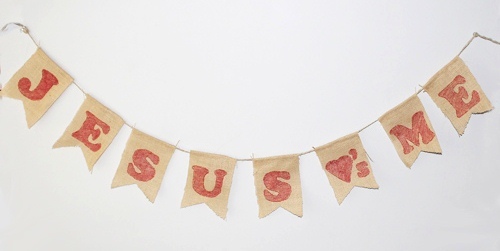 I really love the simplicity of this bunting as well as the message reinforced to my children each time they read it.